Why Are Fewer People Hunting in 2018? A survey by the U.S. Fish and Wildlife Service reveals that only 5% of Americans age 16 and up hunt. That’s half of what it was 50 years ago. The number of licensed hunters, most of them deer hunters, dropped from 14.2 million in 1991 to 11.5 million in 2016. Most disturbing, the decline is expected to accelerate over the next decades. Why fewer of us? I have my suspicions and government agencies and wildlife organizations have their theories, but I wanted information from real-life hard-core hunters, so I did a little Twitter/social survey. It’s far from scientific, but pretty darn representative I believe. The repercussions? Not only do our numbers drop another tick, this guy’s kids don’t get the chance to hunt, and their kids don’t… You get the point. Many landowners are posting their private properties, closing them to hunting probably forever. Others are leasing farms and woodlands to deer hunters and clubs, often at exorbitant fees depending on the rack genetics of a region. Many private lands continue to be developed, with houses springing up on hallowed ground where you and I shot deer for years. “Hunting has become a rich man’s sport.” I’ve heard people say this for years, but again we have seemed to reach a tipping point. Most deer hunters that responded to my survey, hard-working men and women, can’t afford lease fees or are not willing to pay up to hunt. A number of people also mentioned that the cost of gear and tags have gone up so much so that they can’t or aren’t willing to pay for it. I get where they are coming from. But all things considered, if you still have a spot to hunt, hunting deer in your home state is still pretty cheap. As a rule, in-state licenses are reasonable. You can buy a fine new deer rifle package with a scope for $400 or less. The truth is, you can wear the same camo you have worn for 10 years, and in most cases use the same old gun and bow. So I urge you not to let cost impact your hunting. This is the most complex reason for the decline and the one that causes me the most worry. The vast majority of urban and suburban parents don’t hunt, and thus their kids will never have a chance. Rural parents, the ones that have driven the recruitment of young hunters for years, are super busy. And many of them have a different outlook on life and priorities than you or I or our fathers did, so their kids are never introduced to the woods. One person wrote that baby boomers are aging and not hunting anymore. True, and there are facts to support this. Studies have shown that hunters are most active at 48 years old. Every few years after that, they hunt less and less…around 65 most people hang it up, either by choice or necessity. One guy responded and said: “Part of the overall decline in hunters can be traced to the decline of America’s once rich traditional conservative values.” I’d say some truth in that. 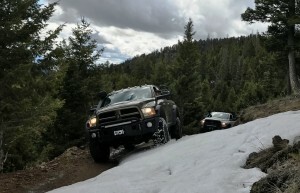 Another person posted: “Some of my friends just say they have lost of the fire to hunt.” Disturbing, and if you dug deeper into their thinking I bet you’d find that they have lost all or most of their best places to hunt. They might have been forced to hunt a few years on public land where they didn’t have must success. All this douses that fire. Here’s the main reason all this matters. State wildlife agencies depend heavily on you, me and our brothers and sisters in arms for funding. Money generated from license fees and excise taxes on guns, ammunition and fishing equipment provide some 60% ($3.3 billion) of the annual funding for state fish and game agencies. As hunter numbers dwindle, so do dollars for conservation. For more on the decline of hunters and the culture of hunting in America, this article is must read. So what do you think? Still got any good places to hunt? Still got the fire to shoot a deer? A couple of weeks ago we had a TV crew down near Selma, Alabama. The rut typically kicks off around January 15 here, and after my first 2 sits I knew we’d hit things just right. I saw young bucks scent-trailing and chasing, and the first evening a pretty good buck fight broke out in the food plot I watched. I had 3 more days to hunt, and figured it was just a matter of time until I saw a shooter. I was not going to be picky; people had been hunting these areas and these stands for weeks, making these already wild deer spookier and more nocturnal yet. If I saw a 3.5- or 4.5-year-old buck with a 120-plus rack, I’d gladly take him. The next morning deer rutted harder yet. I didn’t see much from my ladder, but my friend and Sportsman Channel colleague Graig Hale spotted a high-racked buck chasing a doe through the woods. The white antlers looked heavy, so Graig dropped him with a quick shot from his .270 Remington Model 783. 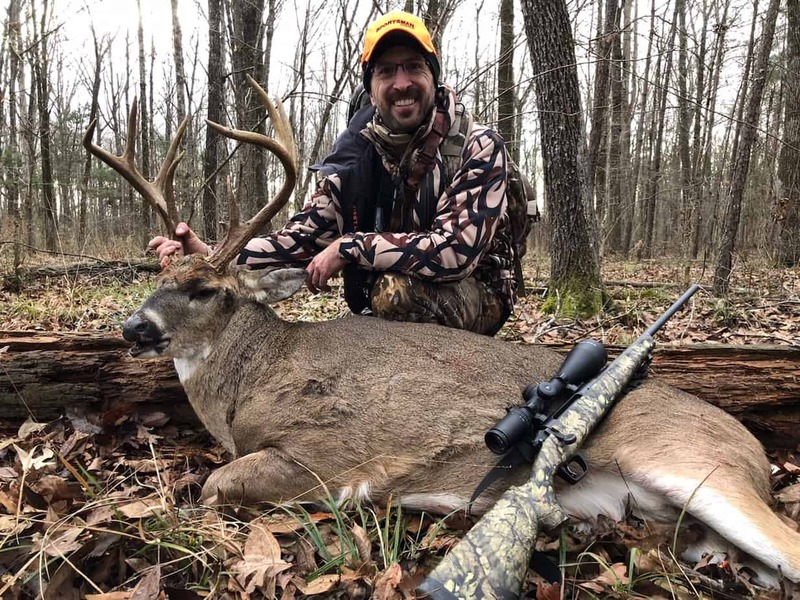 Great decision: the 4.5-year-old 8-point buck scored 136 with character, a real trophy for hard-hunted ground in Alabama. All good, but dark clouds were moving in and the temperature was dropping fast as I headed to my stand that evening. Around 2:00 o’clock, sleeted started and then turned to light snow. Normally I hope for cold and snow in the rut, but not in Alabama. “This weather will freak these deer out,” I told my cameraman Mike. The snow picked up and the temperature dropped into the 20s at dusk. We didn’t see a single deer. It snowed 3 inches overnight, and was 10 degrees the next morning. We saw nothing, even the squirrels refused to move. I hunted 2½ more days and saw a total of 4 deer, and no bucks even close to shooting. Mike: You’ve got to think like an Alabama deer not a Midwestern deer. Most of our deer have never seen snow. They may be 3 or 4 years old before they do. So, it does freak them out. It’s been my experience over the years down here, sleep in when it snows or a hard cold front comes in. They hunker down in the closest thicket and pout until it warms up a bit and the snow starts to melt. It usually takes them 2 or 3 days to get adjusted. I’ll remember that next time I hunt the Deep South, and you should too if you live down there. But all was not lost. Graig shooting his great buck the morning before the snow hit saved the day and helped to make another fine episode of BIG DEER TV that will appear on Sportsman later this year. My friend Graig Hale shot this great buck in Kansas one afternoon last December. It was the first time anyone had spotted this giant on the farm where Graig got him. 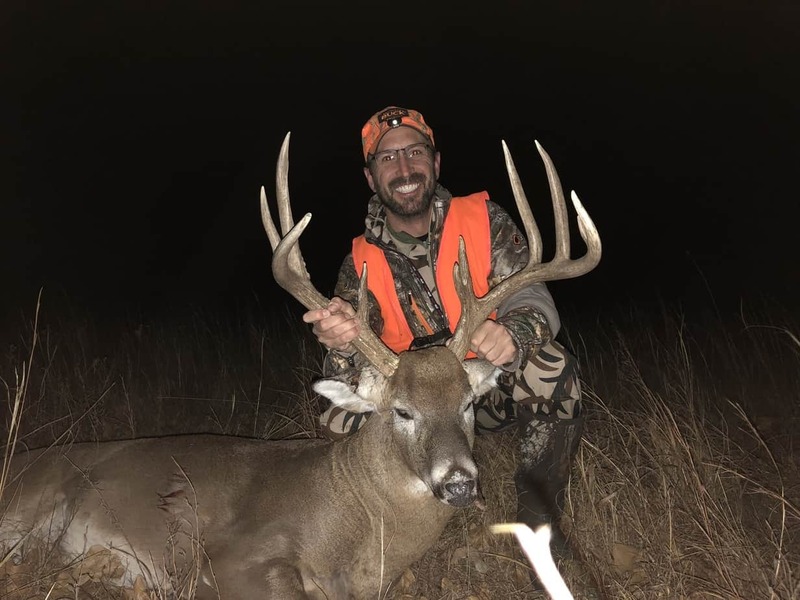 Brian Helman of 180 Outdoors scouts incessantly and has incredible knowledge of the bucks that live on the leases and farms that he manages in southeastern Kansas. Brian went back through thousands trail camera pictures he’d captured last summer and fall—not one image of Graig’s buck. Then he and checked tens of thousands of pictures from 2016 and earlier—still no picture of the old buck. 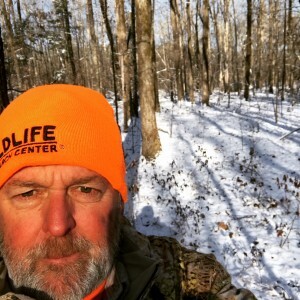 Generally whitetails in this type habitat—a perfect mix of corns, beans, food plots, oak strips and woodlots, and creek bottoms—have a home range of a mile or so, and a mature buck’s core area is smaller than that. But obviously the buck did not live on that farm, and to Brian’s knowledge had never stepped hoof on there before. Why was the big deer there that one day last December? Where had he come from? I have 2 theories. One, he might have been one of the few bucks that live on a farm for a few years, and then for whatever reason picks up and leaves, only to return a couple years later. We actually posted last September about a Kentucky buck that did just that. BUT, a better explanation I believe is that this buck was pushed out of his core area by hunting pressure. Graig and I hunted the first week of KS rifle season in early December 2017. While there were no other hunters on the farm that Graig hunted that week, there was obviously pressure all around on surrounding farms. It is true, and it’s been supported by many studies, that in the face of hunting pressure, most big bucks hole up and go nocturnal, but don’t leave their home ranges and core areas entirely. But I believe that sometimes a mature buck has just had enough. Day after day hunters plow through the woods and thickets where he hides…ATVs roar around…rifles crack. 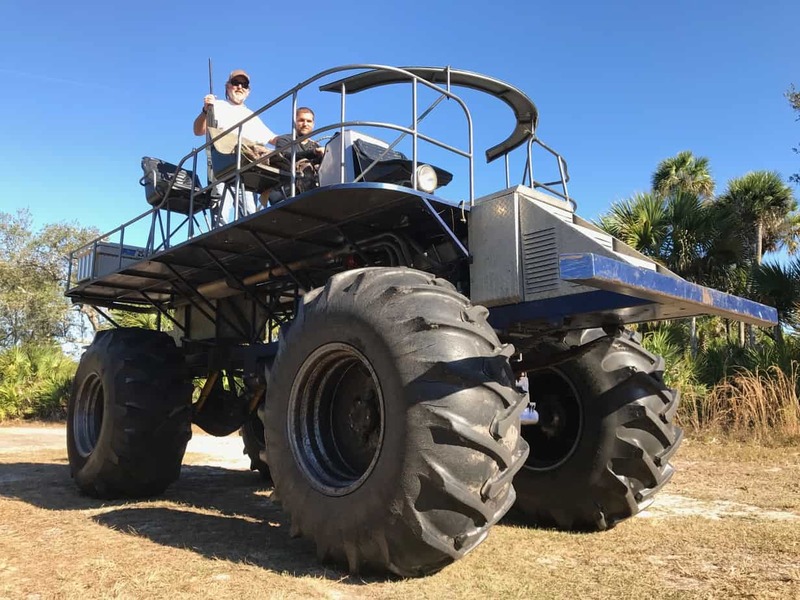 A buck says to heck with this, and goes on a “pressure excursion,” sneaking a couple miles or more off to a place where there are fewer people and where he might relax. 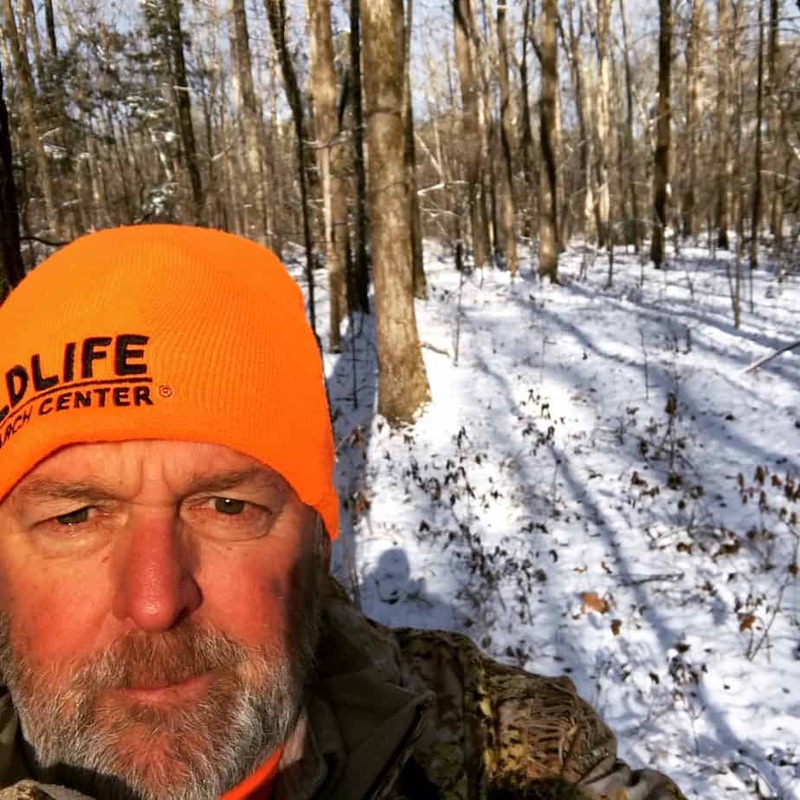 I theorize that the 5-year-old 9-point Graig killed had done just that, and that is why the buck had never before been seen on the farm before. 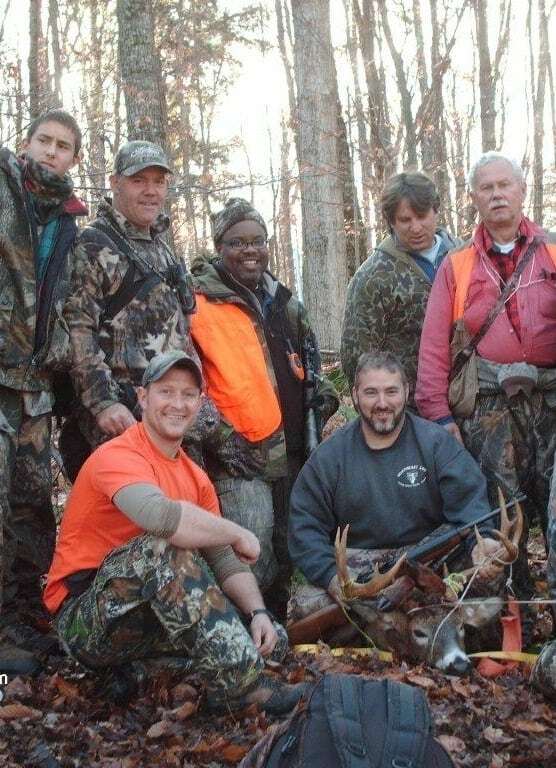 I believe that had Graig not killed him that afternoon, the buck would have made his way back to his home turf in a couple of weeks when the season was over and the guns had stopped booming. Bottom line, you never know when and where you’ll encounter a shooter buck, man. Your very best tactic is plan and scout as best you can, and then put in as much stand time as you can, right up to season’s end. You can see Graig’s hunt for this buck on the new season of BIG DEER TV, coming summer 2018. 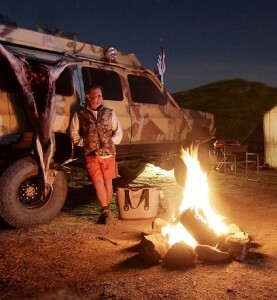 We’re 80% wrapped filming another season of BIG DEER TV, and what a ride it has been once again. I don’t have the luxury of hunting sprawling private farms, or high-dollar lodges. And that’s fine. I don’t want hunt like that. We travel around North America and hunt wild deer in woods and on farms that are very similar to those that you hunt. Like you, most days we don’t shoot a buck. A few days we do get lucky. My show is all about real-world deer hunting with real-world hunters. At least once a year, I take a flyer and go hunt an area and a type of whitetail I’ve never hunted before. This year, in December, we went deep into extreme southwestern Texas, into 5,000-foot mountains 20 miles from the Mexico border. That is where Carmen Mountain whitetails, the smallest strain of huntable whitetail deer in America, live. These little deer, which weigh 90 to 110 pounds on the hoof, are tough to find and hunt. 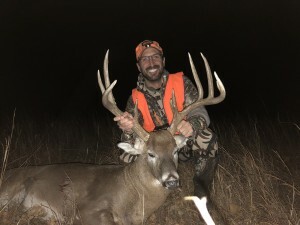 A good buck scores 100-110″ and a 120″ buck is exceptional. I was lucky to shoot a nice 9-pointer (top left picture) and look forward to telling you the story of this little known deer in an episode next summer. 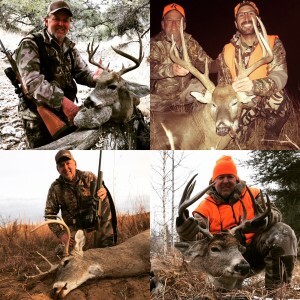 The biggest buck of 2017 goes to my friend and Sportsman Channel colleague Graig Hale, who on the last evening of our hunt in southeast Kansas shot a 160-class brute (top right). As you will see in that episode there is a good theme of “be patient.” All us deer hunters need to learn more patience, and this shows why. A friend of mine leased a 300-acre piece of prairie with few trees in sight and wondered if there were any bucks on it. It certainly was unique, bald habitat. I said I’d hunt it and find out. Sure enough I saw some deer and shot the buck bottom left in the photo. No season would be complete for me unless I hunted the provincial forest (government crown land, public) of north-central Saskatchewan. It is supposed to be cold in Canada in November, but the below zero temps were abnormal and brutal during our week there, hard on man, and cameras and batteries. The rut activity was spotty, but I managed to kill a great buck the last day (bottom right) after 50 hours of sitting and shivering in a ground blind in the wilderness. 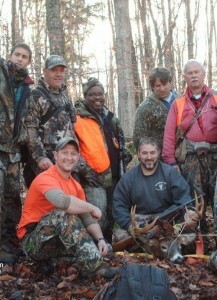 The crew and I are heading for Alabama Saturday for one last hunt, hoping to hit the January rut just right. A few more shoots this spring to wrap things up and we can put a bow on what I know will be another great season of BIG DEER. Let the editing and post-production begin.